From the early 17th century, the valley became increasingly industrialised. Lead mining reached a peak in the early 19th century. The area around Greenhow, stretching north to Ashfoldside, was the main focus for this activity. Smelt mills, like the one at Prosperous, were constructed to process the lead ore. Spoil heaps stretched far and wide and remain the most visible reminder of this industry today. Sandstone, and where the geology made it accessible limestone quarries provided the stone for houses, mills and walls. Scot Gate Ash, overlooking Pateley Bridge, was the largest quarry in the area and was worked up to the 20th century; with ramps, machine beds, 10m high spoil heaps and cliff-like working faces, it demonstrates the impact of mechanised industry on Upper Nidderdale. Lime kilns were built across the area to burn limestone to produce lime, which was now recognised as a fertilizer to improve acidic soils. 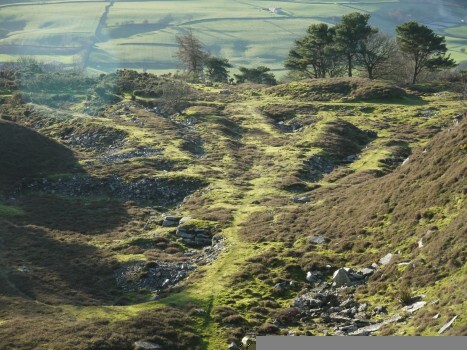 Coal – a vital part of the lead smelting process – was also mined from three large collieries at the northern end of the dale, the most significant of which was on Woogill Moor where coal was extracted from the four large shafts by horse-gins. The textile industry brought a further change to Upper Nidderdale with water mills that had previously ground corn now adapted to power spinning frames for flax. Foster Beck Mill and Wath Mill are both largely intact today. One of the most striking changes during the 18th and early 19th centuries was the enclosure of common pasture land with dry stone walls through a series of acts of parliament. This completed the various phases of agricultural enclosure that had started in medieval times, creating the distinctive field patterns that characterise the area today. 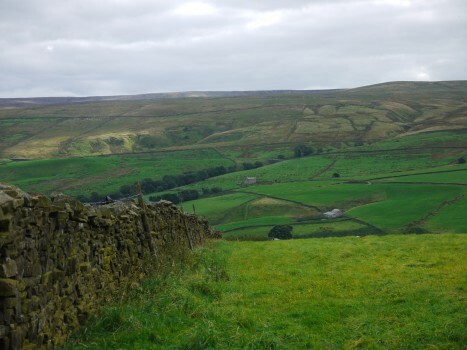 Whereas the field boundaries from earlier enclosures in the dale bottom are of many different shapes and sizes, these later parliamentary enclosures tended to create large, rectilinear field patterns along the valley sides. The dry stone wall enclosures reached up onto the high moorland and privatised land that was previously accessible to all, with the landowners developing lucrative grouse shoots. This led to important employment opportunities for local people as gamekeepers and beaters, but also cultural changes with the influx of the governing classes during the shooting season into previously isolated rural communities. In the 18th century, wealthy landowners began to develop ‘picturesque landscapes’, parks and gardens with designed features including lakes and carefully laid out walks. Examples include Eagle Hall Gardens and the landscape at Fishpond Wood, both near Pateley Bridge.